Thank you so much for all your help with Lisey's journey at UCMAS Richmond. I appreciate how much work it takes for your family to do this on all of our children's behalf and I'm delighted that my daughter is part of your school. Her performance was beyond any of our expectations. Thank you all so very much. Augusto and Desiree (student Annelise ; age 8 ; St. Paul’s school) Thank you, the teachers at UCMAS Richmond, for your fierce dedication and commitment towards your students. It's absolutely amazing to watch how these kids progress, what they can do in a short amount of time and at such young ages, too! You have been nothing but supportive, giving frequent praise, encouragement, and constructive criticism when due. I thank you especially for those many extra practice sessions, free of charge, that you have offered your students during competition time. This only shows how passionate and dedicated you all are about your students being able to achieve what they have been able to achieve thus far. 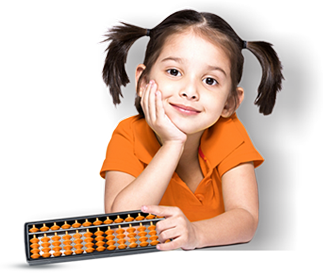 Your small and friendly classes have created an environment where the students actually enjoy coming to UCMAS Richmond to study abacus. Thank you for all your time, energy, hard work, and the planning that you put into each and every class. The students at UCMAS Richmond are super lucky to have you as teachers.